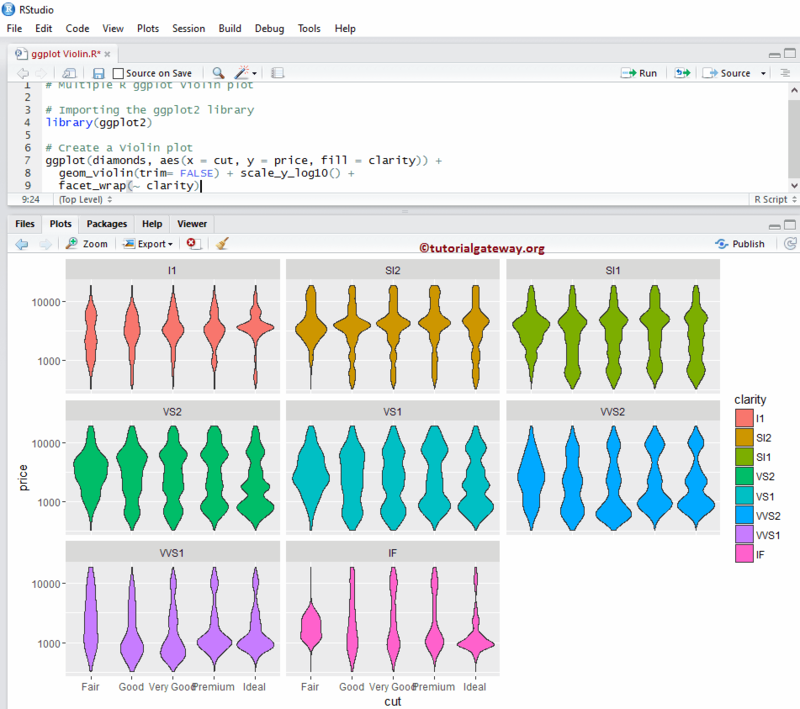 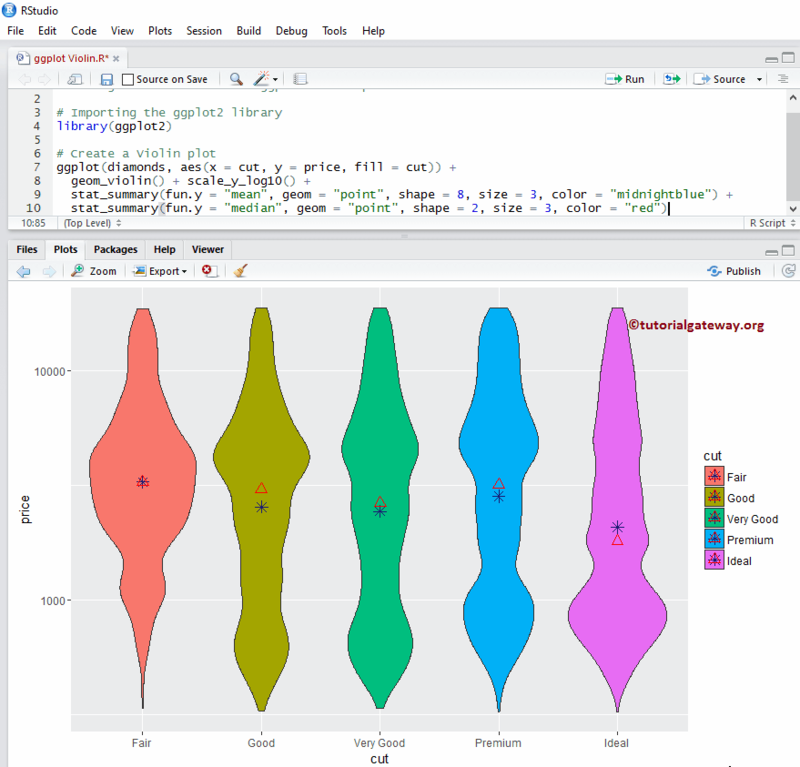 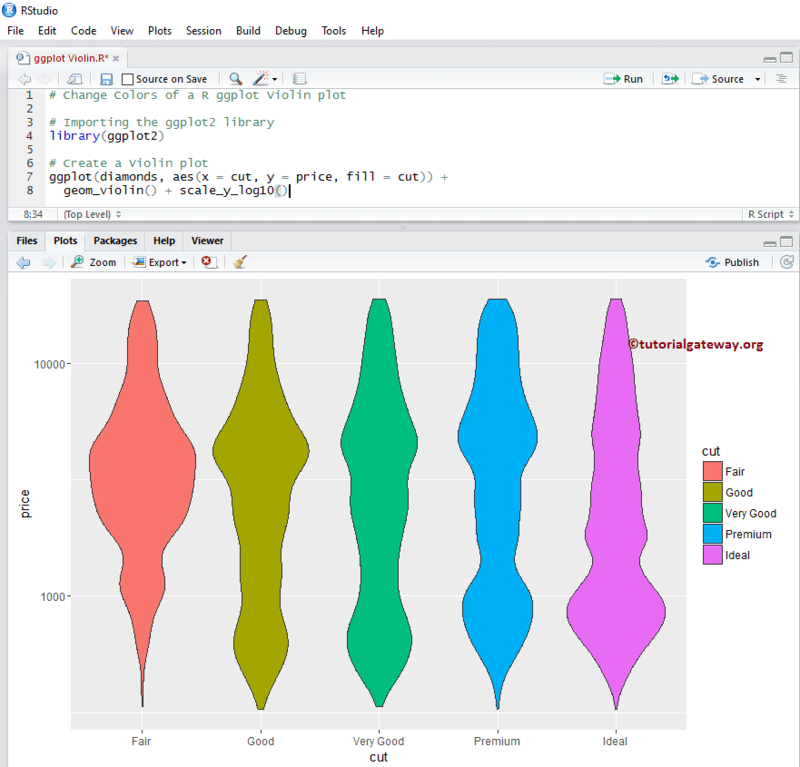 In this example we will show you, How to create a basic violin plot using the ggplot2 package, and for this we are going to use the diamonds data set, provided by the R Studio. 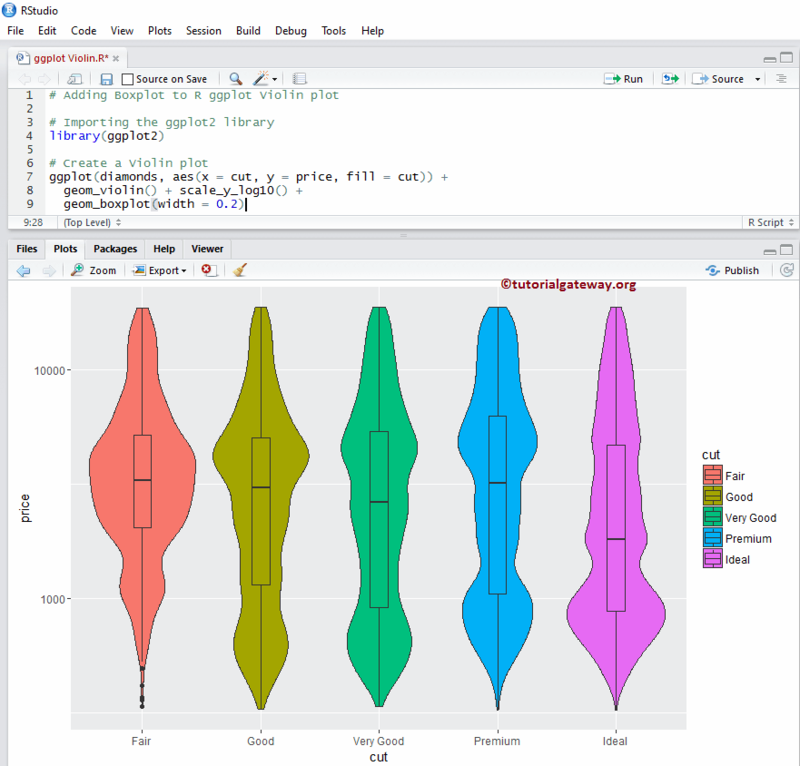 In our previous R ggplot violin plot example, data is huge so there is no visibility of the proper violin plot. 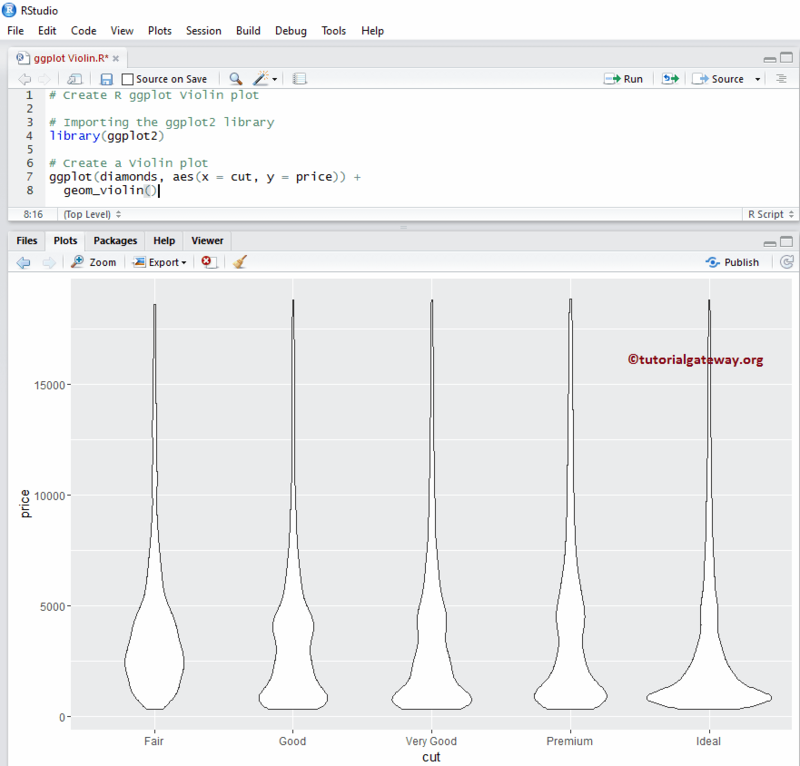 In this example we will scale the y value with log10 and create a violin plot using the scaled y. 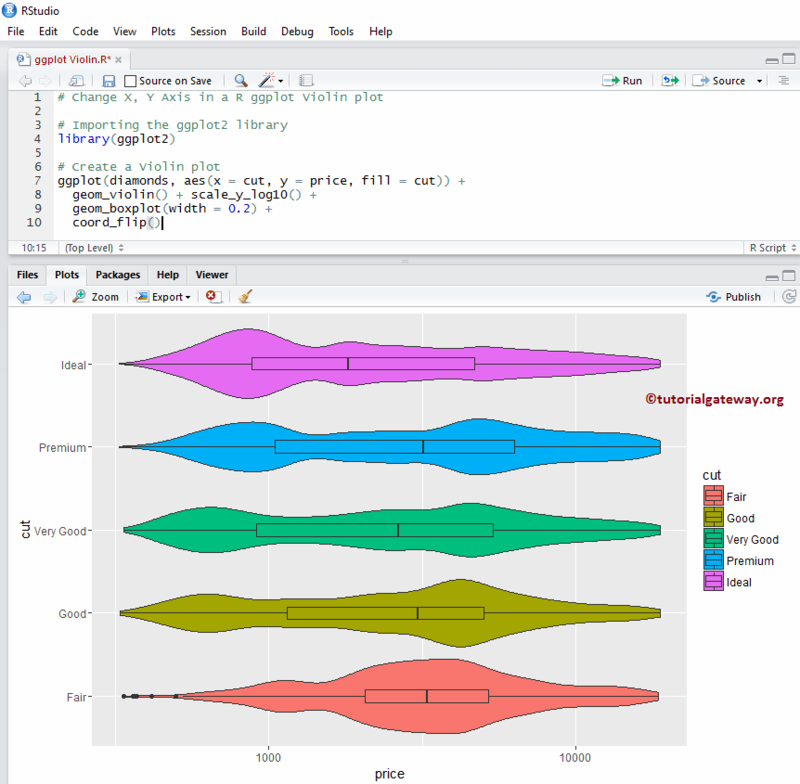 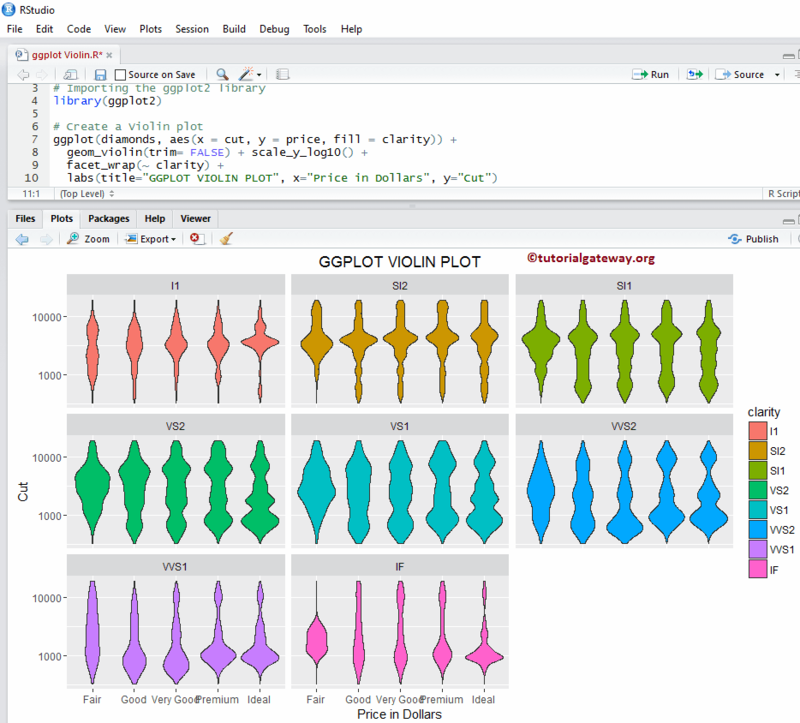 In this example we will show you, How to add boxplot to R Violin Plot using geom_boxplot function. 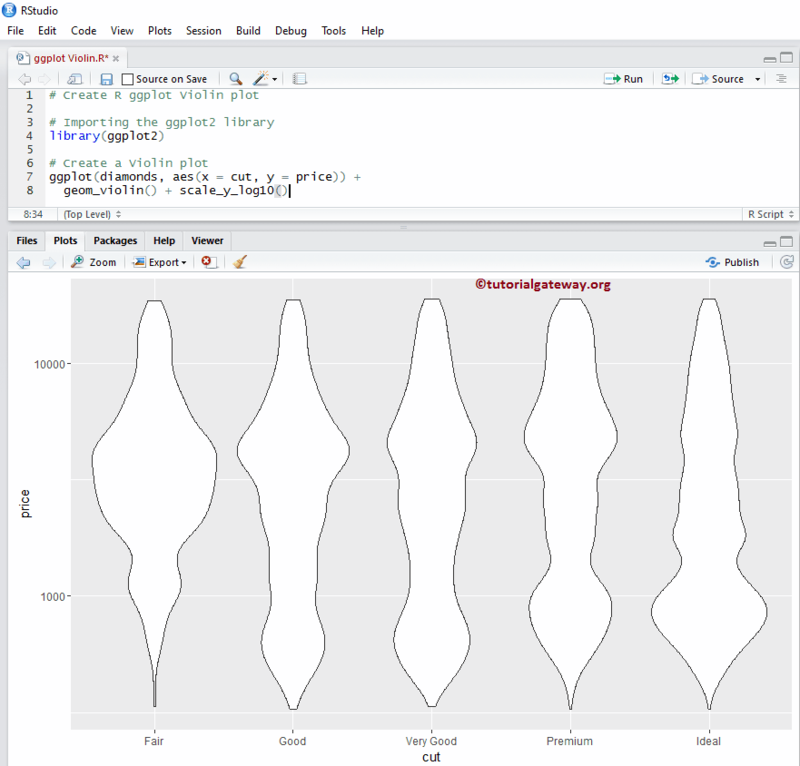 This can help us to see the Median, along with the quartile for our violin plot. 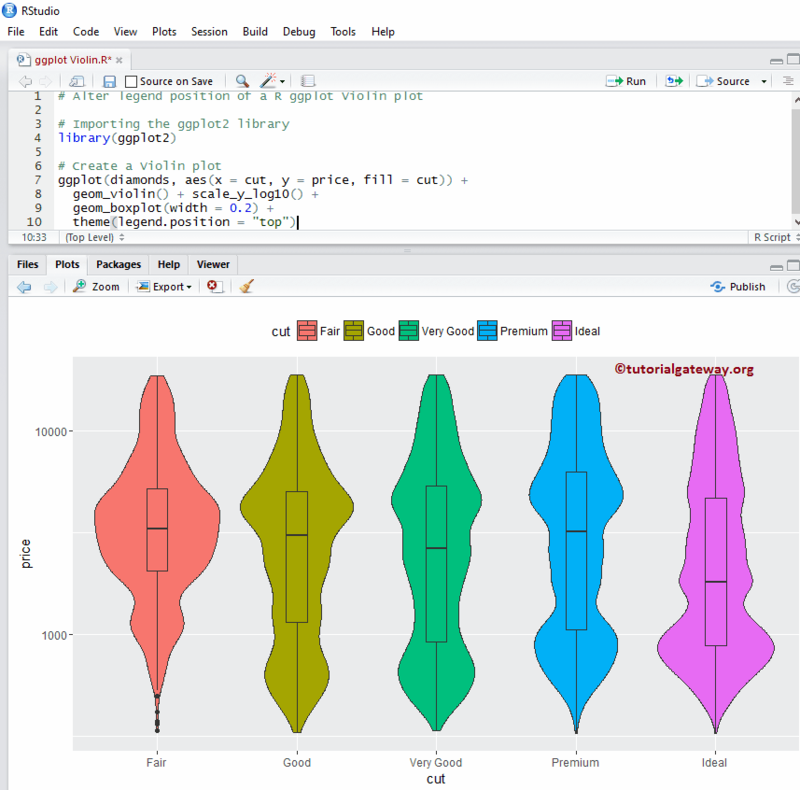 TIP: Please refer R ggplot2 Boxplot article to understand the Boxplot arguments. 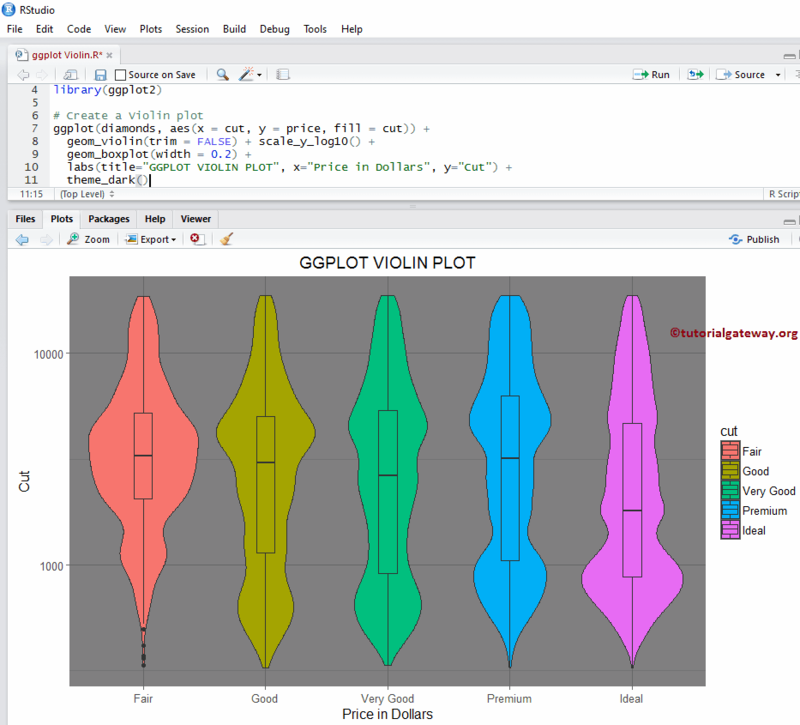 By default ggplot will position the legend at the right side of a violin plot. 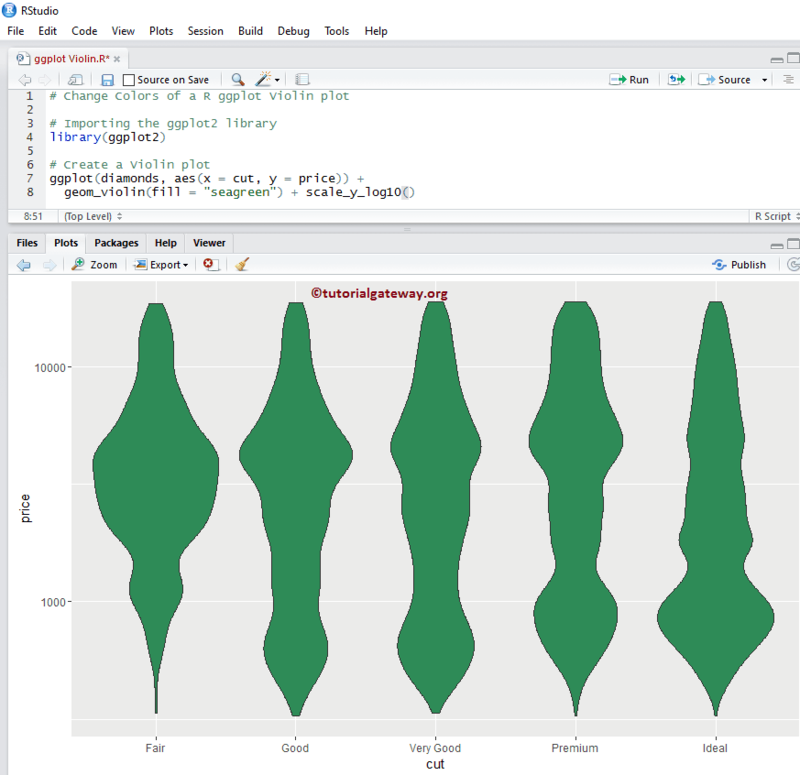 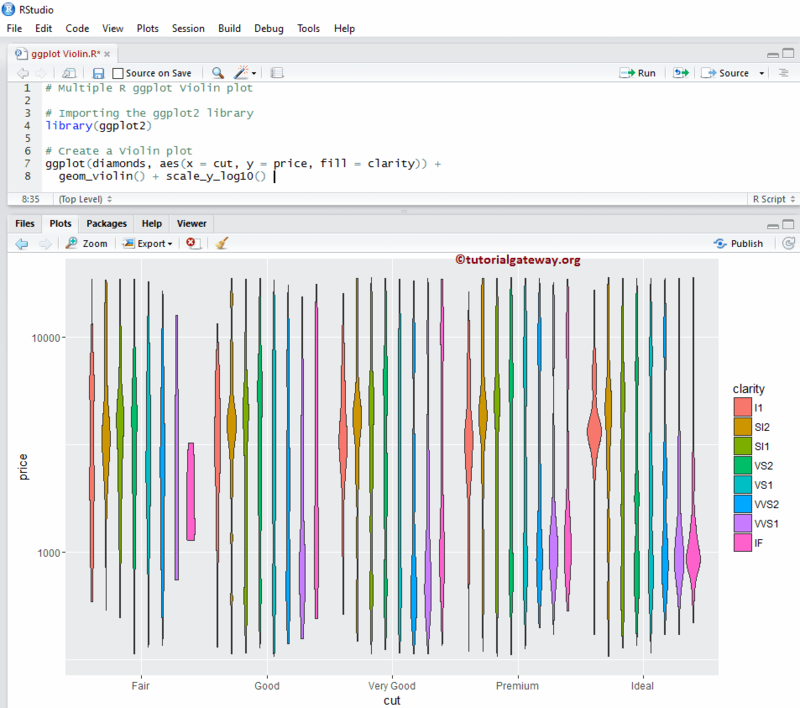 In this example we will show you, How to change the legend position of R ggplot violin plot from right to top. 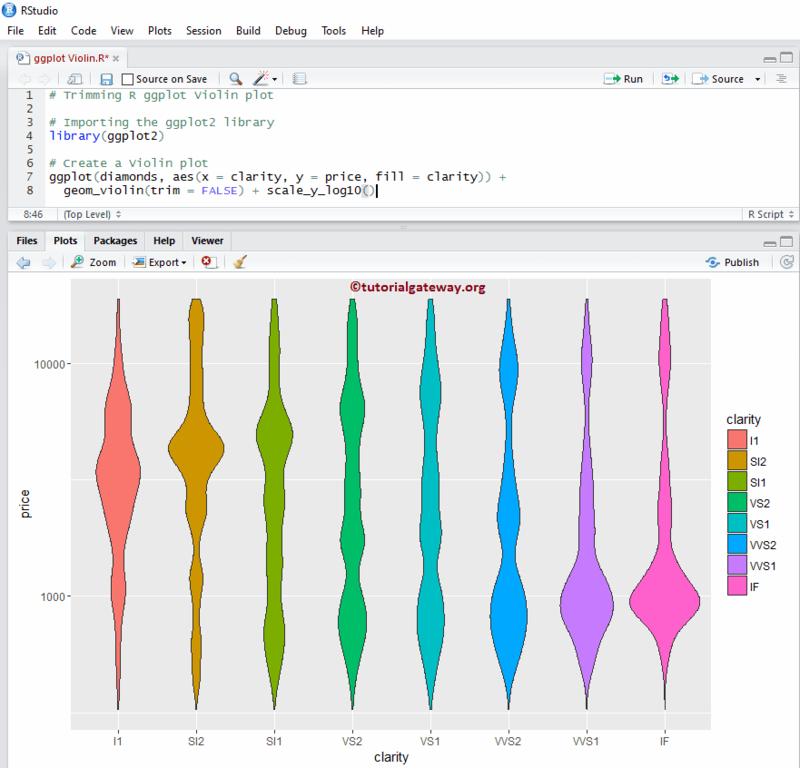 Note, You can use legend.position = “none” to completely remove the legend.